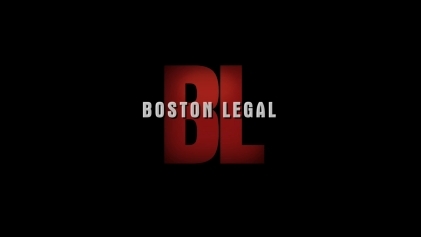 Boston Legal is an American legal comedy-drama television series created by David E. Kelley and produced in association with 20th Century Fox Television for ABC. The series aired from October 3, 2004 to December 8, 2008. The series starred James Spader, William Shatner, and Candice Bergen. Summers starred as the director in the video for Snow Patrol's 2011 single "Called Out in the Dark". She also appeared in the first half of the first season of The CW's mystery drama series Ringer . [ citation needed ] In 2014, she appeared as Leanne Zander in the Fox dramedy series Rake . Snow Patrol are a rock band from Northern Ireland, formed in 1994, consisting of Gary Lightbody, Nathan Connolly, Paul Wilson, Jonny Quinn (drums), and Johnny McDaid. Initially an indie rock band, the band rose to prominence in the early-mid 2000s as part of the post-Britpop movement. "Called Out in the Dark" is a song by Northern Irish rock band Snow Patrol. The track was released as the first single from the band's sixth studio album Fallen Empires on 2 September 2011. It was made available both independently and on an EP with three other tracks from Fallen Empires. "Called Out in the Dark" was shortlisted for Meteor Choice Music Prize Irish Song of the Year 2011. A version of the track also exists which is remixed by Norman Cook. Ringer is an American television series that initially aired on The CW from September 13, 2011, to April 17, 2012. The series stars Sarah Michelle Gellar, who plays twin sisters Bridget Kelly and Siobhan Martin. On May 13, 2011, it was reported that the project had been picked up to series by The CW. On October 12, 2011, The CW ordered a full first season of 22 episodes. Amber Nicole Benson is an American actress, writer, director, and producer. She is best known for her role as Tara Maclay on the TV series Buffy the Vampire Slayer, and has also directed, produced and starred in her own films Chance (2002) and Lovers, Liars & Lunatics (2006). She also co-directed the film Drones with fellow Buffy cast member Adam Busch. Tara Claire Palmer-Tomkinson, also known as T P-T, was an English socialite and television personality. She appeared in several television shows, including the reality programme I'm a Celebrity...Get Me Out of Here!. In 2016 she was diagnosed with a pituitary tumour and an autoimmune condition. She died from a perforated ulcer on 8 February 2017. 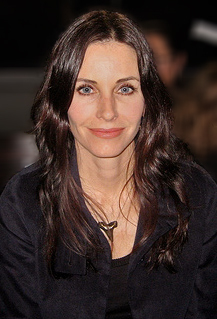 Courteney Bass Cox is an American actress, producer, and director. She is best known for her roles as Monica Geller on the NBC sitcom Friends, Gale Weathers in the horror series Scream, and Jules Cobb in the ABC/TBS sitcom Cougar Town, for which she earned her first Golden Globe nomination. Cox also starred in the FX series Dirt. She owns a production company, called Coquette Productions, which was created by Cox and her then-husband David Arquette. Cox also worked as a director on her sitcom Cougar Town and the television film Talhotblond. 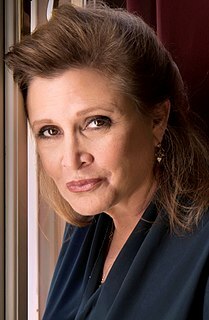 Carrie Frances Fisher was an American actress, writer and comedian. Fisher is known for playing Princess Leia in the Star Wars films, a role for which she was nominated for four Saturn Awards. Her other film credits include Shampoo (1975), The Blues Brothers (1980), Hannah and Her Sisters (1986), The 'Burbs (1989), When Harry Met Sally... (1989), Soapdish (1991), and The Women (2008). She was nominated twice for the Primetime Emmy Award for Outstanding Guest Actress in a Comedy Series for her performances on the television series 30 Rock and Catastrophe. She was posthumously made a Disney Legend in 2017, and in 2018 she was awarded a posthumous Grammy Award for Best Spoken Word Album. Cree Summer Francks is an American-Canadian actress, voice actress and singer. Yasmine Amanda Bleeth is an American former actress. Her television roles include Caroline Holden in the long-running series Baywatch, and LeeAnn Demerest on the soap opera One Life to Live. Jack Arthur Davenport is an English actor. He is best known for his roles in the television series This Life and Coupling, and as James Norrington in the Pirates of the Caribbean series. He has also appeared in other Hollywood films, such as The Talented Mr. Ripley. More recently, he was part of the ensemble cast in the drama series FlashForward and Smash, and took the lead role in the 2013 ITV drama series Breathless. Tara Donna Reid is an American actress. She is known for playing Vicky in the films American Pie (1999), American Pie 2 (2001) and American Reunion (2012), and Bunny Lebowski in The Big Lebowski (1998). In 2013, she starred as April Wexler in the television film Sharknado, and went on to reprise the role in five sequels (2013–2018). Jaime King is an American actress and model. In her modeling career and early film roles, she used the names Jamie King and James King, which was a childhood nickname given to King by her parents, because her agency already represented another Jaime—the older, then-more famous model Jaime Rishar. Tara Anne Cassandra Fitzgerald is a British actress who has appeared in feature films, television, radio and the stage. She won the New York Drama Desk Award for Outstanding Featured Actress in a Play in 1995 as Ophelia opposite Ralph Fiennes in Hamlet. She won the Best Actress Award at The Reims International Television Festival in 1999 for her role of Lady Dona St Columb in Frenchman's Creek. Fitzgerald's appeared in the West End production of The Misanthrope at the Comedy Theatre with Damian Lewis and Keira Knightley, and in Henrik Ibsen's A Doll's House at the Donmar Warehouse. Since 2007, Fitzgerald has appeared in more than 30 episodes of the BBC television series Waking the Dead and played the role of Selyse Baratheon in the HBO series Game of Thrones. Martha Wainwright is a Canadian-American folk-rock singer-songwriter. She is the daughter of American folk singer and actor Loudon Wainwright III and Canadian folk singer-songwriter Kate McGarrigle. She was raised in a musical family along with her older brother, Rufus Wainwright, in Montreal, Quebec, Canada. She speaks the two official languages in Canada, English and French. Elasti-Girl is a fictional comic book superheroine appearing in books published by DC Comics, primarily as a member of the Doom Patrol. Created by writer Arnold Drake and artist Bruno Premiani, the character first appeared in My Greatest Adventure #80. "Run" is a power ballad by Northern Irish alternative rock band Snow Patrol from their third studio album, Final Straw (2003). It was released in the United Kingdom on 26 February 2004 as the second single from the album. The song was received with positive reviews by music critics. It reached the top five on the UK Singles Chart. The song was covered by multiple artists, including Leona Lewis, who released it as single in December 2006 for winning X Factor. Tara Elizabeth Conner is an American actress, model, advocate and beauty queen who was crowned Miss USA 2006 and has also competed in the Miss Teen USA and Miss Universe pageants. Apart from her role as Miss USA, Conner has been employed as a model. She was a featured model on the HDNet series Bikini Destinations in 2004, posing in Lake Tahoe. She has also held the titles Miss Kentucky Teen USA 2002, Miss Kentucky County Fair 2004, and Miss Kentucky USA 2006. Tara Buck is an American film, stage, and television actress. Buck is known for her roles in True Blood,Ray Donovan and Party of Five. Eva Marcille Pigford is an American actress, fashion model and television personality. She started her career by winning the third cycle of America's Next Top Model. She was previously credited by her birth name Eva Pigford. Lord Alex Oakwell is a fictional character from the British ITV soap opera, Emmerdale, played by Rupam Maxwell. The actor auditioned for the part of Alex and was told he had won the role on the same day. His casting was announced in June 1997 and Maxwell said he was thrilled to get the part. He hoped his character would have some juicy storylines lined up. Maxwell made his first screen appearance as Alex during the episode broadcast on 9 July 1997. Lady Catherine Anna Brudenell-Bruce, known as Bo Bruce, is an English singer-songwriter previously signed to Mercury Records. She has released one EP, Search the Night (2010), and an album Before I Sleep in 2013, both of which received a degree of chart success. She is also known for her appearance on talent show The Voice UK, and has toured mainly around the UK. Throughout her career she has featured on a number of dance-oriented singles, notably with Chicane and Gareth Emery. ↑ Macdonald, Marianne (10 December 2009). "Julian Rhind-Tutt - the Wing man". London Evening Standard. ↑ "Video for Snow Patrol's Called Out In The Dark"